Mailboxes are our connection to the outside world...no matter what happens in the cyber world, nothing compares to the letter in the mailbox from a loved one or a special announcement about the birth of a child or an invitation to a surprise birthday party-- and of course, the holiday cards! 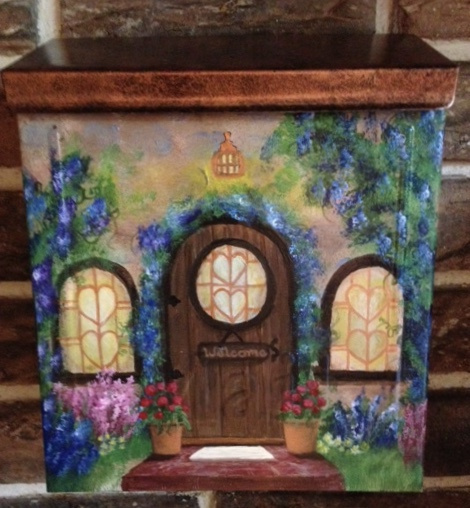 As with all of my items, Mailboxes are completely hand painted by me, and are one of a kind. Flag and mounting hardware included with all mailboxes. PLEASE NOTE: Pieces are made to order. Please allow 1-2 weeks for delivery. And! Where would we be without that mail carrier? 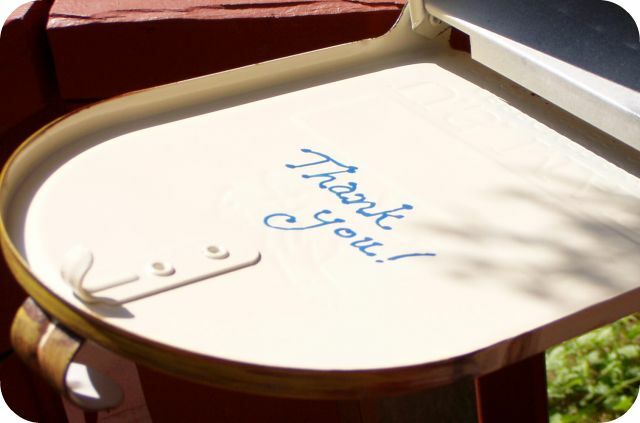 All my mailboxes include a "thank you" to the mail carrier each day they open the box to deliver the mail to us. 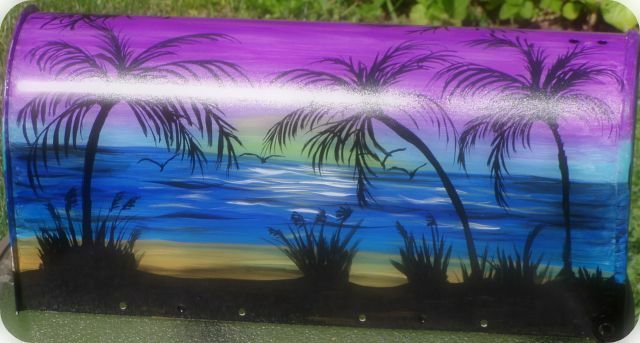 Mailboxes are sealed with four coats of sealer to ensure protection from fading or wear no matter what the weather. 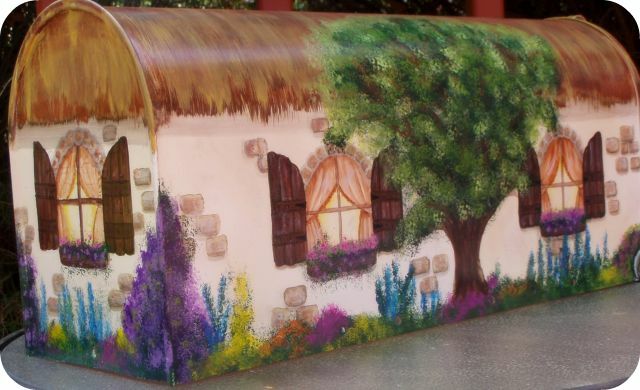 Please e-mail me if you have a design you would like to create on a mailbox: Kathy@TouchedbyFantasy.com.